Netanyahu says Israel will continue to punish terrorists, after the IDF completes sealing of home of Har Nof terrorist. Terrorists will continue to pay a heavy price, Prime Minister Binyamin Netanyahu said on Wednesday night, shortly after the IDF announced it had finished sealing the home of one of the terrorists who carried out the massacre at the Har Nof synagogue in Jerusalem last November. In a statement, the IDF Spokesperson’s Unit said it had finished the process of the sealing of the home of Uday Jamal, which began on Wednesday morning. “The IDF will continue to act in accordance with the instructions of the political echelon, with the cooperation of all security agencies, and will not hesitate to take all available legal means to hit the terrorists and the factors that help them, and discourage the carrying out of other attacks,” the IDF said. "We will also place our hands on the murderers who carried out the attacks in recent days that killed Malachi Rosenfeld and Danny Gonen of blessed memory," added the Prime Minister, referring to the recent terror wave in Judea and Samaria. Earlier on Wednesday, demonstrators began gathering outside the Prime Minister's Residence in protest of the wave of terror targeting the Binyamin region. Also on Wednesday, Netanyahu and Defense Minister Moshe Ya’alon visited wounded Israelis from the latest terror attacks and vowed to put an end to terrorism. 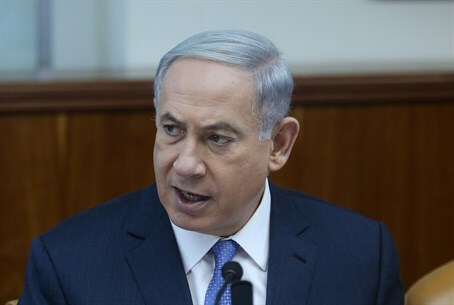 "We have thwarted over two hundred attempted attacks since the beginning of last year, and we will also get to these murderers and terrorists," said Netanyahu. "We will also exact a heavy price on the terrorists and their dispatchers and their supporters."